Rough Country Front Sway Bar Quick Disconnects - 07-18 Jeep Wrangler JK. 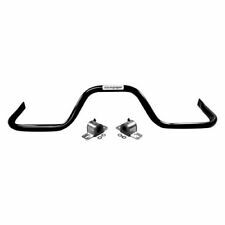 Rough Country Front Sway Bar Quick Disconnects 4-6-inch Lifts - 97-06 Jeep TJ. 2 x Front Stabilizer Sway Links. GES PARTS Suspension Stabilizer Links One Year Warranty. Do not have missing parts, hardware or instructions. Have not been used, installed or disassembled. Wrong Part. Utilize an adjustable clevis pin and cotter pin for quickly disconnecting your front sway bars. Cotter pin release allows for fast disconnect. Kit contains 2 clevis pins, 2 cotter pins, and 4 washers. 7706 Hellwig Sway Bar Fits 2007-2016 Wrangler (JK). THIS IS A GOOD USED OEM FRONT SWAY BAR WITH JKS DISCONNECTS FOR 2007-2018 JEEP WRANGLER JK, JKU, RUBICON, SAHARA, UNLIMITED, SPORT ETC. -THIS IS A GOOD USED FRONT SWAY BAR WITH JKS DISCONNECTS AND NO ADDTIONAL HARD WEAR. MOPAR 52087771AB LINK ASSEMBLY. FITS 97-06 WRANGLER. "Rugged Ridge Sway Bar Link -- Get ready to enjoy a new level of style and performance with Sway Bar Links by Rugged Ridge, designed to enhance your driving experience without costing an arm and a leg. Most of my parts are used! In fact most are between 15 and 30 years old. Do not confuse these with new parts. 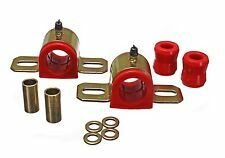 Performance Polyurethane Sway Bar and End Link sets make your vehicle's Sway Bar system much more effective. Your Sway Bar system never had it so good! Replaces that original, short lived and "Too Soft" rubber. Trending at $26.61eBay determines this price through a machine learned model of the product's sale prices within the last 90 days. Crown Automotive Sway Bar End Link part number 52002609 is the factory replacement sway bar link for the Jeep Wrangler. OEM JEEP YJ WRANGLER SWAY BAR BRACKET KIT- RIGHT AND LEFT. LEFT BRACKET IS OEM USED AND RIGHT BRACKET IS NEW AFTER MARKET. LIMITED AVAILABILITY. Old Barn Classics specializes in quality used auto parts. 1976 to current, Jeep CJ or Jeep Wrangler YJ, TJ, LJ, JK. It Is good condition and fully functional condition. Very light usage. We are including the threaded knobs. 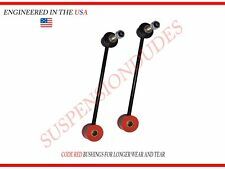 2x Front Stabilizer / Sway Bar End Link - K3197. 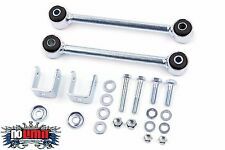 2x Rear Stabilizer / Sway Bar End Link - K80244. JEEP TJ 1997-2006 All Models. JEEP WRANGLER 1997-2006 All Models. Fits Both Front and Rear Driver and Passenger Side. Replaces oe number : 52060013. "Crown Sway Bar Bushing --. Condition : New. Therefore all implied warranties that may apply to your part are limited to the duration of this written warranty. Each warranty gives you specific rights, and you may have other rights which vary from state to state. 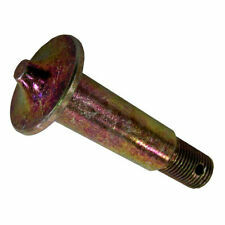 "Crown Sway Bar Link --. Type : Non-extended (OE length). Notes : Front; Non-extended (OE length). Product fit : Direct Fit. The warranty is subject to the General Warranty Limitations below. Limited Warranty Coverage Policy. Rough Country Front 2.5" Sway Bar Quick Disconnects - 97-06 Jeep Wrangler TJ.